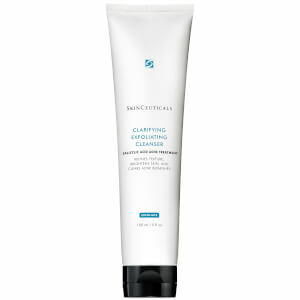 Treat aging and problematic skin to the refining properties of SkinCeuticals LHA Cleansing Gel, a decongesting face wash specially formulated to cleanse the skin while helping to reduce breakouts and visible signs of aging. Infused with a conditioning surfactant and a 12% concentration combining Glycerin with Lipo-Hydroxy, Glycolic and Salicylic Acids, the gel cleanser performs gentle exfoliation to refine the skin, while lifting away dirt, oil, makeup and impurities. It helps to refine the appearance of pores by eliminating pore-clogging debris, and tackles blemishes and signs of aging without drying the skin. 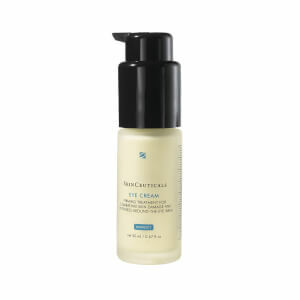 After use, the complexion is left feeling smooth, purified and balanced. Suitable for oily, combination and aging skin types. 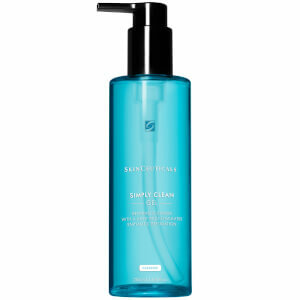 Free from parabens, sulfates, soap, synthetic-fragrance, dye and alcohol. Twice daily, gently massage a small amount into a wet face and neck. Rinse thoroughly with water. Aqua / Water / Eau, Coco-Betaine, Propylene Glycol, Peg-120 Methyl Glucose Dioleate, Sorbitol, Glycerin, Glycolic Acid, Triethanolamine, Sodium Laureth Sulfate, Sodium Chloride, Disteareth-100 Ipdi, Salicylic Acid, Capryloyl Salicylic Acid, Menthol, Disodium Edta, Steareth-100. SkinCeuticals is a brand to which I am avidly loyal. I have oily, blemish-prone skin (even in my early 40s), and when I finally found the line (I use this cleanser with the equalizing toner, serum and sunscreen), my skin did a 180 -- fewer breakouts, more even skin tone...improved everything. Won't go without SkinCeuticals!